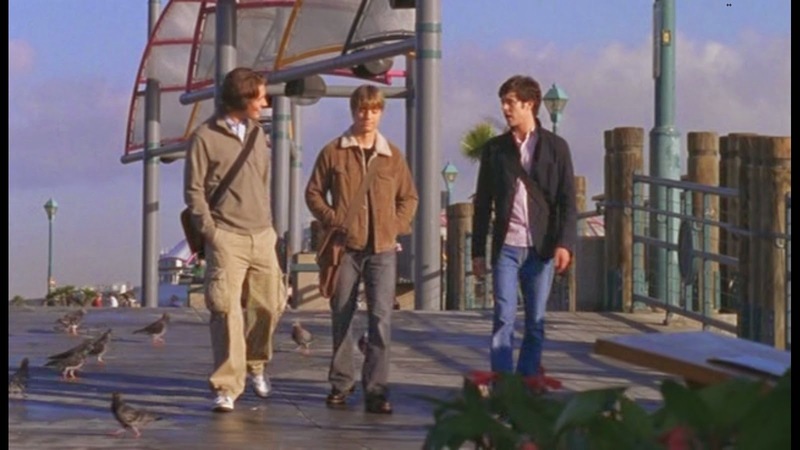 Where to find: Season 2 episode 10 "The Accomplice"
Scene: Seth, Ryan and Zach are hanging out talking on the pier about what Seth should do in his Alex/Jodi love triangle situation. Seth: "So what do I do?" Zach: "What do you wanna do?" Seth: "What I want to do is drive over to her apartment right now and just ask her, flat out - Alex are we in a relationship or are we not?" Zach: "Good man, you should do it!" Ryan: "He's not doing it!" Seth: "Ryan its been almost a week okay and I still don't know where Alex stands. Is she back together with her lesbian ex - and if so are they open to some sort of menage three-ways in the film Summer Lovers?" 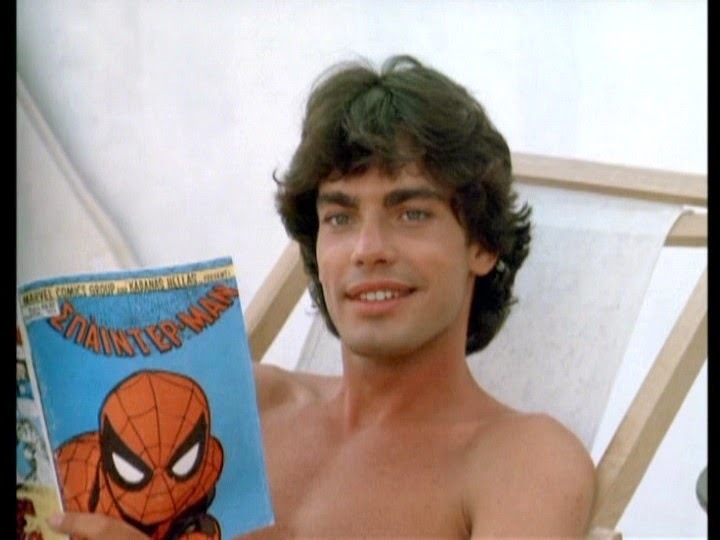 Easter Egg: Summer Lovers was a movie that came out in 1982, 21 years before The O.C..The movie stars your very own Sandy Cohen - Peter Gallagher playing the character Michael Pappas. I haven't seen the movie yet but from the photos (some pretty x-rated and can't be unseen), I gather its about a guy and a girl and then another girl, involving a love triangle/three some of sorts on an island resort type setting. This is why I love The O.C., the great detail and awesomeness the writers go into, leaving you bread crumbs to follow. Look at the above photo, Guess the Cohen blood runs strong, looking like a young Seth Cohen - a little comic book reading on the beach followed by a three-some..Look out Ryan Atwood Sandy's looking pretty ripped. Now the big question is, is this movie even worth watching?